A well-rounded education system nudges student to explore avenues beyond the confines of academic excellence. This is the reason why parents seek private schools that can offer state-of-the-art education infrastructure to match international standards for their children. In today’s competitive environment, schools have to invest in innovative ways to aid comprehensive development of their students. Unsecured business loans provide a quick and hassle-free financial solution to deal with the associated expenses. For the uninitiated, an unsecured loan is a loan issued without requiring any collateral or security from the borrower. Online lenders and non-banking financial companies (NBFCs) can lend up to Rs. 50 lakhs to eligible schools after verifying the requisite loan application documents. What next? 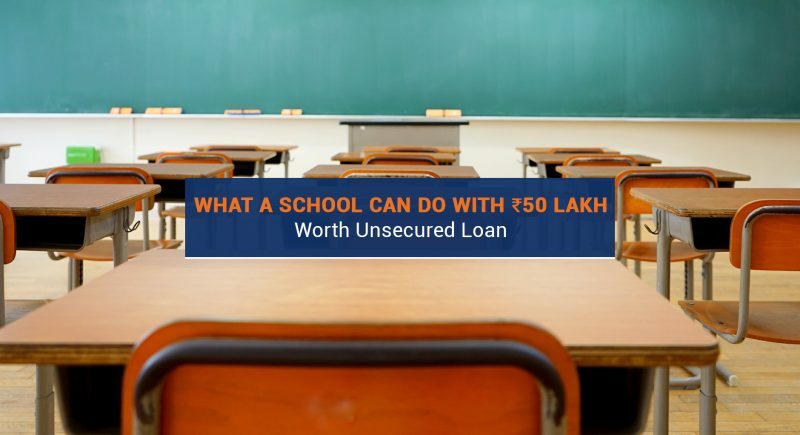 Here are several ways a school can utilize a 50-lakh worth unsecured business loan. One of the allures of private schools is a favourable teacher to student ratio. Small sized classes allow teachers to focus on the progress of individual students. In order to maintain this ratio, schools need to expand their infrastructure to match the corresponding influx of new admissions. A 50-lakh loan for private school will enable it to build classrooms, faculty lounges, canteens, and other required spaces. With an average of 200-250 working days, schools undergo a lot of natural wear and tear and require regular maintenance to keep up with safety regulations. The total cost may vary depending on the undertaken course of action. NBFCs like Lendingkart.com are the optimal funding sources for cash needed to carry out urgent repairs and renovation of the school campus and property. The education industry is rapidly shifting towards Information and Communication Technology (ICT) oriented teaching methods. This includes using digital learning resources like educational tablets, licenced software, online curriculum management systems, smart class equipment, etc. The cost of educational tablets ranges from Rs. 5000 to Rs. 18000 per unit. Eligible academic institutions can quickly procure up to 50 lakhs of business loans in India through digital portals to cover the cost of this one-time investment. A fully equipped science laboratory adhering to regulated safety standards is a necessity in secondary and higher secondary institutions. Separate lab kits are required to support different subjects like physics, chemistry, and biology. A 50-lakh unsecured loan is sufficient to build and furnish multi-purpose laboratories with effective storage and flexible design. Setting up a computer laboratory requires a substantial amount of money. An unsecured business loan for a private school can be used to purchase and install IT infrastructure such desktop computers, printers, multimedia equipment, and licensed software. Schools can also use it to establish or improve connectivity with campus-wide LAN and PA systems. Co-curricular activities like sports and games are an integral part of school life. Schools can apply for an unsecured business loan to upgrade their sports facilities. These include construction and maintenance of appropriate spaces where students can practise indoor sports like basketball, badminton, table tennis, swimming, etc. as well as outdoor sports like cricket and football. Every school needs a well-designed auditorium with good acoustics, stage lighting arrangements, and a sound system. It is a space that can be used to hold school assemblies, public lectures, theatre productions, and award ceremonies. The average cost of building an auditorium is Rs. 1800 – 2300 per square feet. A loan of 50 lakhs is good enough to build an auditorium large enough to accommodate a sizeable audience. Safe transport for pupils is a primary service offered by private schools. Maintaining a fleet of vehicles allows institutes to not only overlook the safety of their students but also ensure that they reach school on time. Starting from Rs. 7 lakhs for vans or minibuses and going up to Rs. 50 lakhs for larger buses, the cost depends on the type, size, brand, and condition (new/used) of the vehicle. After approval, NBFCs can disburse a collateral-free loan for private school to buy the required means of conveyance. With an unsecured business loan of up to Rs. 50 lakhs, the borrowing institutions can increase their transparency and efficiency by streamlining their administrative services. Customized ICT backed solutions can be used to create individually designed School Management Software. Such management tools keep track of student and faculty data and also other tasks like accounts, recruitment, transport, etc. Schools may also require funding to launch various development projects as and when the need arises. Restocking teaching equipment, introducing a meal plan, setting up a uniform and stationery store on campus are some examples. Thus, with a clearly stated purpose, educational institutions can promptly get business loans in India with flexible EMI options and minimal processing charges with the help of online lenders. Starting a New Business Can be very overwhelming at times. 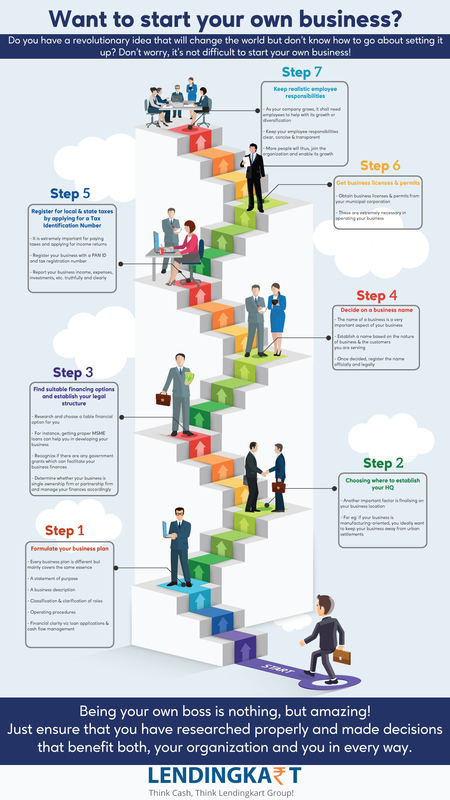 Check out our Infographic to follow these important steps while starting your own Business. Did you know? India has one of the oldest textile industries in the world. Throughout the course of world history, Indian textiles have remained a fascination in the middle-eastern and western societies. Today, textiles exports contribute almost 11 per cent to the total export by the country and the textiles industry provides employment for millions. Approximately, there are 40 million workers in the textiles industry and another 60 million who are indirectly associated with it. The textile industry in India has a couple of broad segments. The first is the unorganized segment which includes handloom, handicraft and sericulture. These are operated at smaller levels and often manufactured through traditional tools and methods. Then there is the larger organized segment which includes spinning, apparel and garments manufacturing for local and international clients. Manufacturing in this segment is based on the use of modern machinery and techniques like the economies of scale. In terms of market size, the Indian textiles industry is worth USD 108 billion, which is expected to reach USD 223 billion by 2021. Apart from providing employment to an estimated 100 million people, the industry contributes almost 5 per cent to the country’s Gross Domestic Product and 14 per cent to the Index of Industrial Production. Currently, the industry is witnessing a growth in investment and market activity. The industry has attracted Foreign Direct Investments to the tune of USD 1.85 billion between April 2000 and March 2016. The Government of India has also come up with several export promotion policies for the industry, allowing up to 100 percent FDI in the sector under the automatic rule. Also, there are plans to set up India’s first integrated textiles city in the state of Andhra Pradesh. The future looks bright for the Indian textile industry both for the large-scale and the SME section. There is a marked increase in domestic consumption and export demand also looks strong. As consumerism and disposable income of the middle-class continue to rise, more new international players are expected to enter the market. For example, Marks & Spencer, Guess, and Next have come to India within the last decade. India’s organized apparel segment is expected to grow at a Compound Annual Growth Rate of over 13 percent over a 10-year period. The SME segment, that deals mainly in handloom, handicraft and sericulture, is also benefiting from e-commerce. Several online platforms have come up in the last few years which are promoting the domestic textiles and have helped in expanding their customer reach in India and abroad. The tie-up between the Department of Handlooms and Textiles has and nine e-commerce players and 70 retailers for increasing the reach of handlooms products. It will generate better prices and continuous business for SMEs in the textiles sector, and facilitate direct access to markets and consumers for small weavers. In addition to the 5 percent interest reimbursement provided for specified technical textile machinery, the Revised Restructured Technology Upgradation Fund Scheme (RRTUFS) now covers manufacturing of major machinery for technical textiles for 5 percent interest reimbursement and 10 percent capital subsidy. The Scheme for Integrated Textile Parks (SITP) provides aid to the extent of 40 percent (with a limit up to ₹ 40 crores) for the creation of infrastructure in the parks. The major machinery for production of technical textiles gets a concessional customs duty of 5 percent. Specified technical textile products are covered under the Focus Product Scheme. The export of these products is entitled to a duty credit scrip equivalent to 2 percent of freight on board (FOB) value. Ticket size of ₹ 50,000 to ₹ 2 crores. Quick turnaround time which can be as low as 3 days. Online application, approval, and tracking. Customized interest rates to match your credit profile. Flexible repayments through monthly or bi-weekly installments. Repayment period of 1 to 24 months. Processing fee of 1 to 2 per cent with no other charges. Loan renewal for the same amount upon full repayment. As you can see, the ticket size and repayment window make these loans ideal for various business activities such as equipment purchase, restocking inventory, working capital management and business expansion. You can use a Lendingkart small business loan to perform any or all of the critical business tasks which require immediate financial attention. The loan application process is quite straightforward and takes only 15 minutes to complete. Simply log in at www.lendingkart.com or download the Lendingkart Finance app on your Android device to get started. A new business generally requires some form of business finance to take off from the ground. With the opening up of markets since 1991, the financial services market in India has seen exponential growth in terms of products and services. Nowadays, there are many ways a small business owner can raise capital for his/her enterprise. In today’s post, we are going to review nine such financial vehicles that allow a startup to raise quick business loans. The line of credit is a facility offered by your banking or financial partner, allowing you to withdraw funds as needed up to a limit. So, instead of receiving the full amount as a one-time term loan, you get the funds on a need-to-use basis. One benefit of this mode of startup finance is that the interest is charged only on the balance currently borrowed by you. The line of credit is usually used for short-term working capital to help improve the cash-flow or finance unexpected expenses. Business credit cards can be a very cost-effective way to finance your startup business as many of these products come with zero per cent APR introductory periods, cashback and rewards programs. These cards can be used for covering immediate expenses while you wait for payments from customers and sometimes help in preserving cash for working capital or other requirements. However, small business credit cards are not ideal for funding large capital investments due to the very short-term nature of the loan and high-interest rates. Online P2P platforms connect you directly to individuals and institutions looking for investment. These business loans are generally known as P2P finance and help you reach lots of debt/income investors. The platform charges a processing fee and interest rates on P2P finance can go up to 26% because of the risk involved for the lenders. A good credit score is also a pre-requisite to borrow from a P2P lending site. You can use equipment financing to purchase equipment, machinery or vehicles for business use. Equipment finance is available through dealerships, banks and online equipment finance providers. Typically, the business loan is given by keeping the purchased equipment, machinery or vehicles as collateral and a processing fee is also charged. The main benefit of equipment finance is that you get the ownership of a valuable asset, the payments for which are spread over a period of time (generally one to five years). Equipment finance is a good choice for startup businesses which rely on equipment or machinery. Short-term small business loans are one of the best ways to finance your startup business. These loans are offered by banks and other RBI governed financial service providers. Small business loans from non-banking financial companies like Lendingkart come with features that are optimized for modern enterprises. For example, Lendingkart’s small business loans have a ticket size of ₹ 50,000 to ₹ 2 crores, which can be repaid in monthly or biweekly instalments of up to 24 months. Moreover, these loans come with lower interest rates and zero prepayment penalties. Lendingkart also offers a quick turnaround time for approving and disbursing your small business loan when compared to the time and hassle you face in applying for a business loan with a bank. You can get the money in your bank within 3 days of application if all your information and documents are in order. 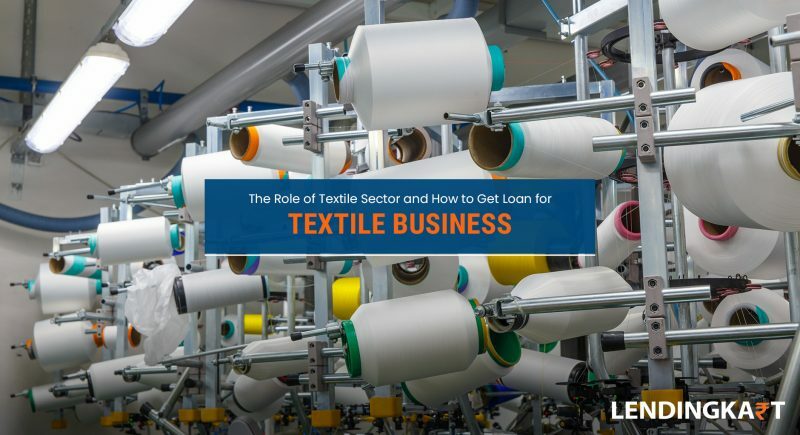 The benefit of a small business loan of up to ₹ 2 crores is that it can be utilized for several things simultaneously, such as inventory or equipment purchase, streamlining your working capital and paying off immediate debts. A startup which has been in business for more than 6 months can apply for a small business loan with Lendingkart Finance. These loans are generally given to very small business startups who have a less than ideal credit rating and no assets to collateralize. In India, these loans are offered by government programs like the Mudra Yojna. However, the loan value is often less than ₹ 50,000 which makes these loans not very useful for enterprising individuals. A plus point of microloans is that they are given at lower interest rates and are unsecured. Online crowdfunding platforms allow you to raise small amounts of money from a large number of people. However, there is a difference between P2P platforms and crowdfunding platforms. In crowdfunding finance, you are not required to pay back the money you get. It is a kind of donation towards your entrepreneurial cause by people interested in your idea. But sometimes, crowdfunding terms may include a provision for equity share if the startup becomes successful. The crowdfunding platforms usually charge a one-time percentage-based fee from the capital you raise. Wealthy individuals who invest in your business in exchange for an ownership stake are often called Angel Investors due to the debt-free nature of the finance. However, money raised from Angel Investors is often less than the money you can raise through venture capital. On the plus side, Angel Investors are less likely to interfere with your role in the organization. Venture capitalists are a group of rich individuals/investors who operate as firm. VCs, give you debt-free finance in exchange for a percentage of equity in the enterprise. However, VCs are more hands-on in their approach and often induce an organizational change in your business to retrieve their investment. Also, funding by venture capitalists is given in several rounds, such as a seed round (generally known as Series A), and subsequent payments upon achievement of growth targets. So, this concludes our list of financial vehicles you can tap into for getting a startup loan or investment. Our recommendation is in favour of small business loans from NBFCs because of the versatility and flexibility of this particular financial product. And, the unsecured nature of these business loans makes the deal even sweeter for small businesses and startups who lack assets for collateralization. 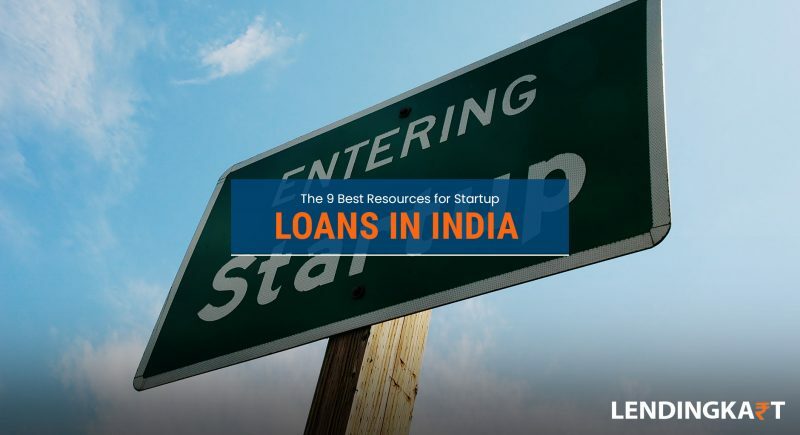 To know more about small business loans for startups, visit us at www.lendingkart.com. 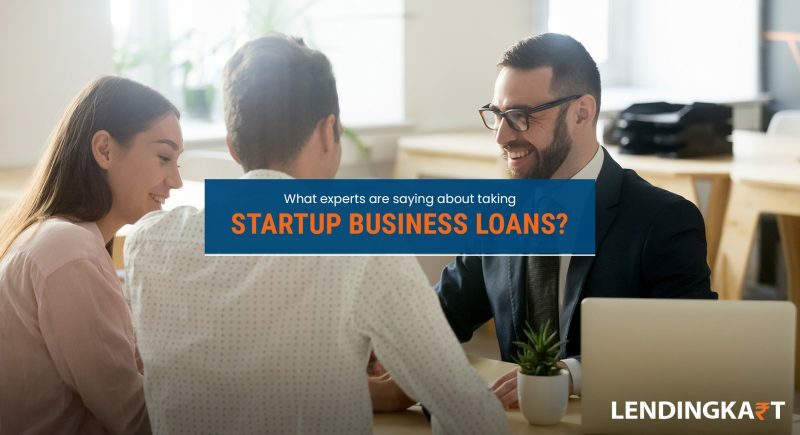 What Experts are Saying About Taking Startup Business Loans? Being an entrepreneur is more about creativity than financial pursuits. Successful enterprises are started with an innovative idea that grows to become a viable product or service. Such products or services can either be a means to fulfil the requirements of the day or a means to create an entirely new market. In both cases, creative ideas and continued innovation thrive whereas half-baked schemes are often unsuccessful. However, it is also true that every great business idea needs funding to make it into reality. Every new entrepreneur faces the problem of business finance when giving shape to his/her first business idea. While self-funding can help sustain the startup for a short time, scaling it up to full potential requires additional funding. To fund or not to fund? It is one of the crucial questions faced by an entrepreneur. If the business idea is viable then it would need funding for growth and if the initial launch has not drawn the expected response, either it needs strategic tuning or needs to be abandoned altogether. In both cases, the funding is most likely secured through a short-term debt, such as a small business loan, before the business can be pitched to investors for future funding. In today’s post, we have summarized 3 tips by startup experts that can help you decide when you should apply for a small business loan for your startup business. Honest determination of the following queries will help you determine the strength of your idea and its feasibility in the existing market conditions. If you can positively answer these three questions then you should definitely go ahead and apply for a startup business loan. Do you have a unique business idea which addresses a genuine customer need or requirement? Can your idea be achieved through current technology and marketed within the next 12 to 18 months? Is your management team capable enough to make the idea into a reality? If your answer to each and every question posed above is a definite ‘yes’ then perhaps it is time for you to start looking for business loans online. No business, small or big, is built in a day. An enterprising mind needs to think ahead about the things that are to be achieved in the near term i.e. 2 to 3 years down the road. For that, you need a clear analysis of your finances and operational capacity and add the runway that will be provided by the small business loan to it. If your runway is exhausted before the minimum 2 years required, you need to re-analyze the targets or the finances, whichever suits your needs. 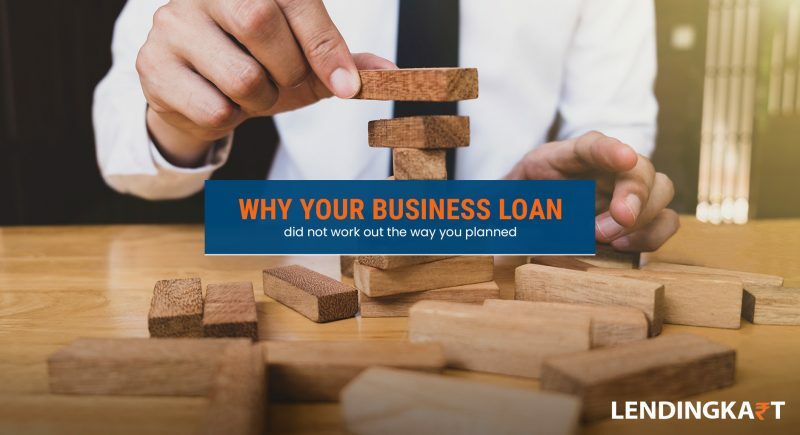 Taking a loan that is too small for actualizing your business plans will leave you stuck in the middle with a risk of losing everything that was planned. Similarly, a loan that is too large may leave you with a debt that your business and personal finance could not service. As discussed above, the initial phase of operations lets you know about the shortcomings of your product or services. This allows you to realign the enterprise to better suit the customers’ needs. This phase of trial and error takes some time but eventually helps you in making your product market-worthy. So, it is recommended that the concern of funding should be raised only after this period is over and the product or service is ready to fill the demand in the market. Raising money too early will have you burning the cash on unnecessary expenses, hence increasing your initial losses, which can sometimes lead to a premature end of an enterprise. Once you have found the business model that works, you can move ahead with raising funding through business finance. Once you are done setting up the business, answering the three crucial questions, laying out the roadmap, and finalizing the business model, getting a business loan for startups become easier. Non-banking financial companies like Lendingkart have financial products and services designed for today’s fast business environment. For instance, you can get a business loan online within 3 days of application from Lendingkart Finance. These unsecured business loans are offered for a period up to 2 years with a principal value of up to ₹ 2 crores. The loan interest rates are determined through proprietary business analytics which makes the whole process transparent and fast. Furthermore, a startup business can repay the loan in easy monthly instalments or repay the loan early through bi-weekly payments. Lendingkart also promises zero prepayment penalty if you decide to settle the debt early through a one-time payment after servicing the first EMI. To be eligible for a startup business loan from Lendingkart, your enterprise needs to be operational for a minimum period of 6-months. To know more about our startup business loans and check out the complete eligibility criteria, visit us at www.lendingkart.com. 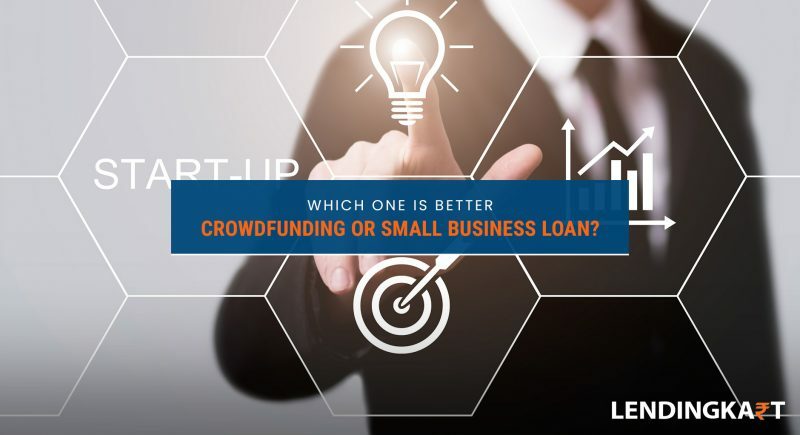 Which one is better, Crowdfunding or Small Business Loan? The world of business finance has seen a rapid transformation in recent years. Today, there are as many as fifty financial products and services, catering to different sets and sub-sets of business loan seekers. These products have made it very difficult for a first-time loan seeker to pick and choose a financial vehicle that will enable growth for his/her enterprise. In today’s post, we are comparing two such financial products which offer funding to small businesses and startups i.e. crowdfunding and small business loans. What is crowdfunding and how it works? Crowd funding is a relatively new concept in the financial markets. In crowdfunding, a business venture gets funding through a series of small donations/pledges from multiple individuals/investors. In return, the business promises to deliver a niche product or equity share in the company. Crowdfunding is usually used by enterprising individuals to get money for their pet-projects. The money comes through crowdfunding platforms online, where people can list their idea or product which is under development. Interested individuals/investors donate the money using online payment options to fund the idea or project. What are small business loans and how they work? Business loans have remained an integral part of the banking system ever since its inception. However, the main focus of banks offering business loans has always been on large, commercial clients. As a result, small business owners had to rely on private money lenders and proxy financial help to get funding. The terms of these private business loans were quite exploitative to say the least. Enter non-banking financial companies, a new kind of financial institution that could offer RBI approved business loans to small and medium business owners. The loans offered by NBFCs are customized for individual business needs and hence have terms that suit a small or medium enterprise’s financial capabilities. Hence, these loans are called small business loans. Small business loans have a smaller ticket size and shorter repayment window than a traditional business loan. Generally, small business loans are also unsecured loans and hence are more attractive for SME owners who do not have substantial assets for collateral. Financial Vehicle Provider An online platform where you can host your campaign for crowdfunding. An online platform, like Lendingkart, where you can apply for a small business loan. Probability of Finance It totally depends on the idea/product that you are selling. If your idea/product appeals to the viewers you will be able to raise funds. But if there are not many takers for your proposition there will be little or no funding. If you have a decent credit rating and proper tax records, and provide all the necessary documentation, there is a high chance that your loan application will be approved. Application Process Different crowdfunding platforms will have different terms and conditions for raising funds through their portal. Create an online account, get a loan quote based on your financial information, accept the quote and upload documents for final verification. Credit Requirement & Fulfilment Since the amount of money, you receive, is totally dependent on the idea/product you promise to develop, the actual amount of money you will receive will also depend on the same. You receive the promised amount after deduction of a processing fee by the lender. The ticket size for Lendingkart’s small business loans starts at ₹ 50,000 and goes all the way up to ₹ 1 crore. Interest & Other Charges Usually, the crowdfunding platform will charge a one-time percentage-based fee. Lendingkart calculates interest rates through business analytics, promising the best interest rates for small business loans for every loan application. The processing fee is 1-2% depending on the principal amount. Repayment Terms There is no repayment involved in crowdfunding but you are required to fulfil the promises made in the campaign, such as developing the product or offering a share in the equity. Small business loan repayments can be done in flexible EMIs – monthly or bi-weekly – when you apply with Lendingkart. There is no prepayment penalty or charge as well. As the success of a crowdfunding campaign depends entirely on the interest of individuals or investors, it is not a viable option of business finance for every SME borrower. A pro of the crowdfunding is that it allows you to gauge the market’s interest in your idea or product. But, that too requires a lot of upfront effort and may involve preliminary investment on your part. Thus, if the crowdfunding campaign fails, it becomes a loss of both time and money. On the other hand, small business loans, especially from non-banking lending platforms like Lendingkart Finance, offer a much more reliable method of getting business finance for your budding enterprise. There are no cons as such to unsecured small business loans because they give you everything – from the required funding to lower interest rates and flexible repayment options – to make your business idea work. To know more about Lendingkart’s small business loans in India,visit us at www.lendingkart.com. India was recently termed as the only, truly emerging market in the world at the moment. A part of this growth is fueled by the micro, small and medium enterprises of the country. The SME sector contributes over 40% of the total GDP and remains a critical source of employment for the India’s growing population. Recognizing the importance of SME growth in the post-demonetization era, the government has started some new business loan schemes and boosted other existing ones. 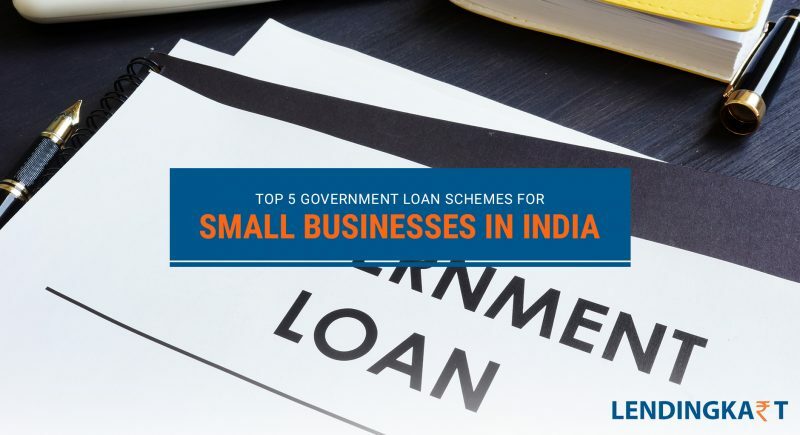 Here are the top five business loan schemes from the government of India that you can avail for small business finance. Perhaps the most talked about business loan scheme right now is the ‘MSME Business Loans in 59 Minutes’, a scheme first announced in September 2018. The loans under this scheme are given for financial assistance and encouragement of MSME growth in the country. Both new and existing business can utilize the scheme for a financial assistance up to ₹ 1 crore. The actual process takes 8-12 days to complete, while the approval or disapproval is granted within the first 59 minutes of application. It is a refinancing scheme, wherein five authorized public sector banks will grant the funds. The interest rate depends on the nature of your business and credit rating. No information has been given on subsidizing the principal amount or interest subvention. To apply for business loan under this scheme, you need GST verifications, Income Tax verifications, bank account statements for the last 6-months, ownership related documentation, and KYC details. More information on application and approvals can be sought by visiting the SIDBI portal for this business loan. The CGMSE was first launched in the year 2000 as a monetary support scheme for micro and small enterprises. It offers collateral-free credit for both new and existing business units that satisfy its eligibility criteria. The scheme provides working capital loans up to ₹ 10 lakhs without any collateral. However, for all credit facilities above ₹ 10 lakhs and up to ₹ 1 crore only primary security or mortgage of land and building associated with the building is obtained and such eligible accounts are covered under Credit Guarantee Fund Trust for Micro and Small Enterprises (CGTMSE). Asset created through the credit facility which are associated with the business unit are also considered as security when the loan amount exceeds ₹ 10 lakhs. The business loans under this scheme are financed by various public and private sector banks covered under the scheme. The NSIC subsidy for small businesses offers two kinds of financial benefits – Raw Material Assistance and Marketing Assistance. Under the raw material assistance scheme of NSIC, both indigenous and imported raw materials are covered. Under the marketing support, funds are given to SMEs for enhancing their competitiveness and the market value of their products and services. The NSIC is mainly focused on funding small and medium enterprises who wish to improve / grow their manufacturing quality and quantity. This scheme allows small businesses to upgrade their process by financing technological upgradation. The technological upgradation can be related to numerous processes within the organization, such as manufacturing, marketing, supply chain etc. Through the CLCSS scheme, the government aims to reduce the cost of production of goods and services for small and medium enterprises, thus allowing them to remain price competitive in local and international markets. The scheme is run by the Ministry of Small-Scale Industries. The CLCSS offers an up-front capital subsidy of 15% for eligible business. However, there is a cap to the maximum amount that can be availed as subsidy under the scheme, which is set at ₹ 15 lakhs. Sole proprietorships, partnership firms, co-operative, private and public limited companies come under the ambit of this business loan scheme. While all these schemes display the commitment of the past and present Indian governments for developing the economy of the nation, there is much that needs to be done to make the schemes effective. For example, the refinancing and subsidy model used by the government takes away the ‘quick’ factor from business loans touted by the schemes. Since these loans are essentially funded by the government sponsored banks, the turnaround time is in weeks or even months, which is detrimental for a small business owner looking for quick business finance. Even the most ambitious of all these schemes, the 59 Minutes Loan for MSMEs, takes up to 2 weeks in reality. On the other hand, MSME finance by non-banking financial companies like Lendingkart is approved and disbursed within 72 hours. This is done by combining business analytics and online technologies for loan approval and disbursal instead of relying on paperwork and age-old processing techniques. For instance, Lendingkart offers business loans online through their website or mobile app. Simply log-in to apply for a business loan, get a same- day approval, accept the quote and upload your documents digitally for verification. The entire process hardly takes 10-minutes of your time and the verification is completed within 3 working days by Lendingkart. So, you have the funds ready for use within a quarter of the time it takes a government scheme to disburse a loan. To apply for a business loan with Lendingkart in 3 simple steps, visit us at www.lendingkart.com. 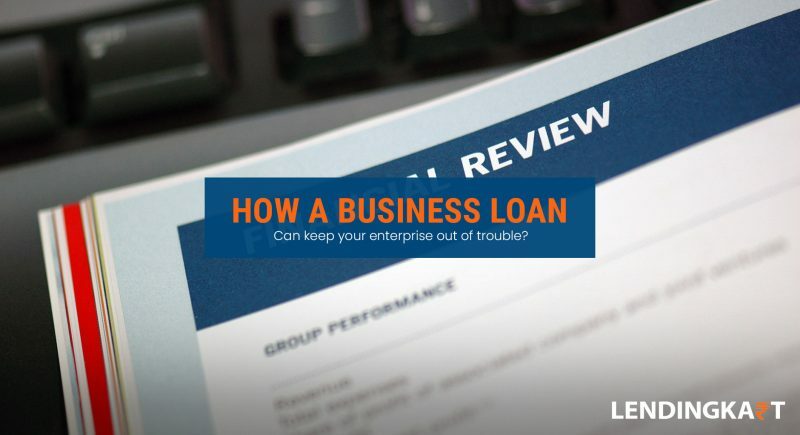 How a Business Loan Can Keep Your Enterprise out of Trouble? The biggest question to answer when you apply for a business loan is how that amount is going to be useful for your business. If you do not have a definitive answer to that particular questions, perhaps you should hold-off getting a business loan. The way a business loan can help your business depends on what type of financing you are considering. It also depends on the type of your business and its overall financial health. To get more insights into the matter of business finance and its impact on your business, let us have a look at the type of business loans which are helpful for your business. A term loan is the traditional loan which is acquired through a bank or a non-banking financial company to address your capital needs. The loan includes a principal amount and the interest that you will pay-off over a period of time. A term loan is usually given for a period of 1 year to 5 years. Term loans often have lower interest rates than short-term business loans due to the longer repayment cycle and less risk for the lender. Next up is the above-mentioned short-term loan which is a condensed version of a term loan. The duration of these loans ranges up to 18 months and they have a slightly higher interest rates due to the reduced repayment window and higher risk involved for the lender. However, short-term loans do give you the advantage of repaying your debt faster and getting more lenient credit terms on your next loan. Short-term finance is also a great way to improve your business credit score quickly. These loans are approved for the purchase of critical equipment for a business. In most cases, the purchased equipment also works as the collateral or security for the amount due. An advantage of equipment financing is that you can secure up to 100% of the equipment value as a loan. Since there is collateral involved, equipment financing also gives you the advantage of lower interest rates on your business loan. Some banks and NBFCs offer their trusted customers with a line of credit. It allows the partner businesses to withdraw sums in excess of their current business account balance. The excess amount, up to a limit, is considered a loan and attracts interest. The facility of credit is restored once the customer repays the overdraft amount with interest. This is quite useful for small businesses who have unstructured cash-flow from invoices. How these loans help your business? Term loans offer easy repayment and a relaxed repayment period in excess of 1 year. These are high-value loans and hence allow you to make large investments for growing your business. Short-term loans offer quick finance for a limited period of time and are great for smaller expansion plans, streamlining working capital and taking advantage of immediate business opportunities. Equipment financing lowers the cost of upgrading your production lines and hence help you save time, increase the quality and quantity of production and create goodwill for your business. Revolving credit or line of credit is more of a fallback mechanism when your business needs that little bit of extra funding to manage production and sales channels. Lendingkart Finance offers all-in-one business loans which include the benefits offered by term loans, short-term loans, equipment financing, and revolving credit. Lendingkart offers business loans up to ₹ 1 Crore for a period of up to 1 years for eligible businesses. The loan terms are decided through business analytics, which means that you get the best available rates as per your business type and recent financial performance. Lendingkart business loans also allow you to select flexible repayment options such as bi-weekly or monthly installments to service your loan. Furthermore, you can choose to repay the entire loan without any prepayment penalties after the payment of first EMI or bi-weekly installment. Benefits of Lendingkart business loans in comparison to the loan products listed above. High ticket value of up to ₹ 1 Crore with a 1-year repayment window to match the benefits offered by term loans. Ticket value starting at ₹ 50,000 to give MSME borrowers the option of small-ticket short-term finance of 1-12 months. The difference in minimum and maximum ticket size also increases the probability of getting institutional finance for SMEs. Once again, the higher ticket value and unsecured nature of Lendingkart business loans means that your business can acquire costly equipment without the risk that comes with collateralizing your business finance. Auto-renewal of business loan amount upon full-repayment without any additional documentation or processing charges. Meaning, Lendingkart business loans can act as revolving credit, that is higher than an overdraft facility, for your business. Other benefits of Lendingkart business loans include, online only application and approval process which reduces the turnaround to just 3-days, and minimal processing charges of 1-2% based on the principal amount of your loan. Interested? To apply for a business loan, visit us today, at www.lendingkart.com. You applied for a business loan and your application was approved after a lot of back and forth with the bank. Finally, you received the funds in your account and set about implementing the changes that your organization needed. However, six months down the line, you are paying the loan EMIs every month but the positive change in operations and profits that you expected have not materialized. Now, you are left with a debt to service and nothing to show for it. Have you ever wondered why some of your business loans never work out the way you planned? Today we are sharing 5 things which may have gone wrong with your business loan planning. Deciding to get a business loan: Sometimes, the decision of applying for a business loan without actually needing it can leave you with unnecessary debt. If you were lured by a lucrative loan offer and simply applied for the sake of it, then it’s unlikely that the investment will boost your business in any significant way. Business loan planning is a strategic exercise that requires assessment of all your finances, marketing exercises, operational capabilities, inventory management, and customer demand. If there is any gap in either of these departments, which requires additional capital infusion, and if you do not have that kind of money in your business bank account, only then should you think of business finance. Amount of business loan: On the other hand, if your business actually requires business finance, and you fail to assess the amount needed for the purpose, it becomes another missed opportunity. Here, the equation works in both ways, both under assessment and https://www.lendingkart.com/blog/why-fintech-lenders-have-become-the-best-choice-for-business-finance/over assessment of business loan requirement are detrimental for your enterprise. First, if you under assessed the capital needed to scale up operations or streamline working capital, then surely you would not be able to get the desired results. Second, if you over assess the business loan requirement and get a loan for that amount, then you are left with surplus amount in your bank. While this may feel like a good thing, it is not. You now have a bigger business debt to service and having an amount that is surplus to requirement may lead to superfluous spending. Spending the loan money in one go: In this instance, your business might have a genuine requirement, and you may have applied and gotten a loan as per your business needs, but if you fail to stage the loan spending properly, the desired results may not materialize. When you put money in something new, it should be done in a stop and go manner to assess the actual impact of the investment. Having a plan in your head is one thing and operationalizing things on ground is another. If you spend the loan money in one go, you will not be able to reset your strategy if something goes critically wrong during implementation. Hence, leaving you with a debt and an unfinished task. Unplanned debt consolidation: Apart from operational planning, sometimes business loan planning for debt consolidation can also go wrong if you fail to recognize the patterns in your debt repayments. For example, if your business has a number of debts, all divided into EMIs, and you take a debt consolidation loan without optimizing its tenure as per your total debt, then you will end up with a huge monthly EMI – something which you were trying to avoid in the first place. Similar things can happen with the interest rate and principal sum of your debt consolidation loan as well. Therefore, if your debt consolidation loan is not working as planned, it might be a result of your failure to consider the principal amount, business loan interest rates and tenure properly. Using the loan for a different purpose: If you took a business loan for expanding operations but used the funds fully or partially for marketing purposes or vice versa, it will definitely spell trouble for your enterprise. In the first case, you will have an expanded customer base but no product to show for it, and in the second instance, you will have inventory but no market to sell it. All we are trying to say here is that, when you plan a business loan, you have an objective in mind. But if you divert funds to other things as they come your way, then the original objective gets lost in translation and you end up with a debt. So, when you apply for a business loan online or offline, plan ahead, use the funds wisely, and do not divert your attention from the principle objective. However, it is never too late to turn things around if your business finance is not working as planned. There alternate ways to get business finance these days which can help you secure instant business loan to fix things up. For example, apply for a business loan with Lendingkart and get a business loan up to ₹ 1 Crore within 3 days. Lendingkart offers faster processing, fair interest rates and flexible repayment using business analytics that optimize each loan for individual business requirements. To know more, visit us at www.lendingkart.com. A small business owner in need for business finance has to go through a lot of hassle in India. Traditional lenders are slow and set in their age-old ways of approving business loans, which can be detrimental for modern businesses who need to move quickly to occupy critical market space. There are several ways quick business finance can benefit an SME, one of them being plant and machinery acquisition. Equipment is a critical part of operations for a small business because the production of goods and services directly depends on it. Timely upgrade and maintenance of business equipment ensure that a business stays competitive and profitable. However, equipment finance is as difficult to finance as a small business loan. A lender will usually ask to submit the new equipment as collateral for granting the loan. If you are shopping for machinery loans that do not require collateral, there are very few lenders who can offer you that service in India. The reason being, the Indian banking sector is suffering from an unprecedented NPA crisis, which has made lenders reluctant to finance SMEs without proper collateral. But NBFC lenders like Lendingkart Finance do offer unsecured loans for purchasing plant and machinery if you satisfy their eligibility requirements. 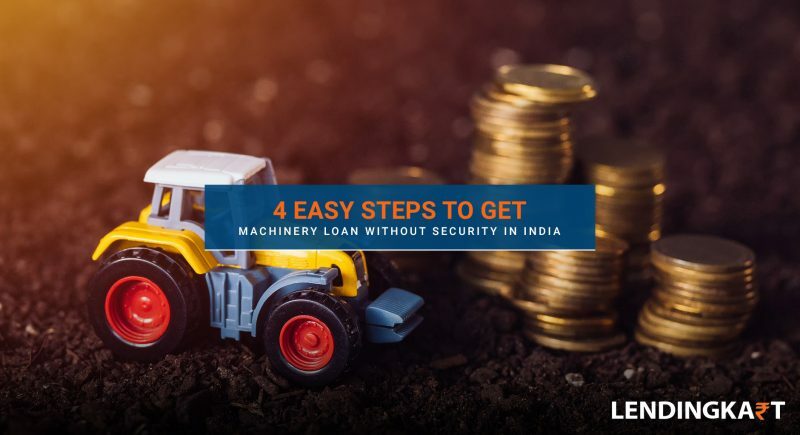 Here is how you can get a machinery loan without collateral from Lendingkart. Lendingkart’s website allows you to check your eligibility for a business loan for buying machinery. Simply complete the sign-up process and enter some basic details about your business. You will be offered a loan quote based on the age and type of your business and your sales/earnings. Once you choose to accept the loan quote, you can move on to provide additional details about your business and upload your documents. The whole process is online and you only need to upload digital copies of the documents for verification. You can monitor the progress of your loan through the Lendingkart account. It allows you to get real-time updates on your loan application. Additionally, you can also download the Lendingkart Mobile App for Android smartphones to monitor account activity without having to log in every time. Lendingkart promises business loans within 3-days of loan application. Since the whole process is online there is no possibility of manual interruptions in the approval, verification and disbursal process. The loan amount is directly credited into your business account, so there is no hassle of depositing demand-drafts in the bank, which is the case with most bank loans. Business loan amount: The ticket size for Lendingkart’s machinery loan is ₹ 50,000 to ₹ 1 crore. Flexible repayment: The minimum loan tenure is 1-month and the maximum loan tenure is 12-month for Lendingkart machinery loans. Lowest interest rates: Lendingkart relies on business analytics for deciding interest rates of business loan, so you get the best rates for your machinery loans. Zero prepayment charges: If you decide to repay your loan early, you can do so after paying the first EMI without any foreclosure charges. How a machinery loan without security can help your business? Increased Production: With access to the latest technology your business can enjoy higher production in lesser time. Higher Quality Product: Use of newer technologies also increases the quality of your product, thus, helping in customer acquisition. Enhanced Profits: Technology also reduces your production costs and allows you to improve margins on the products and services you sell. Faster Turnaround Time: With new machinery, you can process raw materials into finished goods faster. Thus, speeding up your sales cycle. Lower Defects: Goods manufactured using the latest machinery also have lower failure rates and hence help in creating goodwill for your company. Ready to apply for a business loan? Visit the Lendingkart website to start the application process for your first machinery loan. LendingKart Finance Limited is a non-deposit taking NBFC providing working capital loans and business loans to SMEs across India. We give you access to capital in a completely online, quick process with minimum documents and no collateral needed. We hope to become your partner in laying a strong foundation for your businesses and helping it grow to its full potential. © 2019 LENDINGKART Technologies Private Limited. All rights reserved.